Opening this weekend (12/6/2014) is “The Enchanted World of Rankin Bass” Group Art Show at, you guessed it, Creature Features in Burbank! Arthur Rankin and Jules Bass were the producers of some of the most beloved Holiday programming on American television. The animated tales of “Rudolph”, “Frosty”, and “Kris Kringle” were required Holiday viewing in my household. 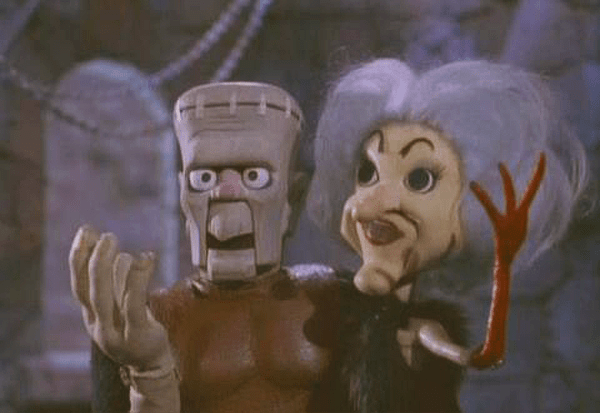 The duo was also responsible for other non-Holiday animated and live action fare that is equally beloved. One such project was “Mad Monster Party”. As the name implies, it was all about Monsters! 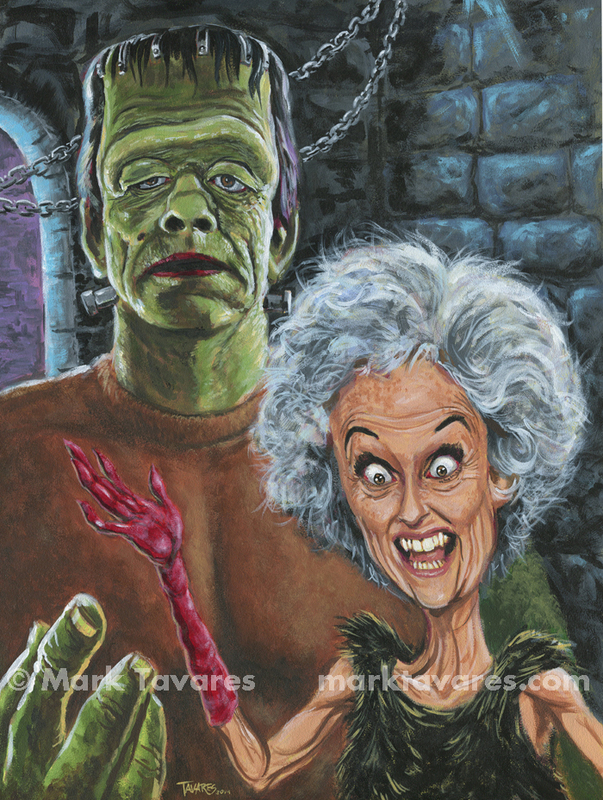 If that wasn’t enough, voices were supplied by the likes of Boris Karloff and Phyllis Diller. I won’t bore you with plot details. Suffice it to say, Monster Kids everywhere hold it in high regard. Being one of those Monster Kids myself, this was to be my inspiration for my contribution to the art show. As with my two previous show entries, “Creeper” and “Mansley Robot Fighter”, I decided to stay away from direct representations of the characters. There would already be plenty of those on display. I didn’t feel I could do anything different enough to separate me from the other excellent artists in the show. Once again, I took the characters in a “real world” direction. Here is how they appear in the show. ..and this is my depiction! I only had time to do one portrait. However, I liked how this came out so much that I might go back and do the rest of the “real world” versions.